When you think in terms of driving dynamics and cornering agility; it wouldn’t usually be an SUV that pops into mind. 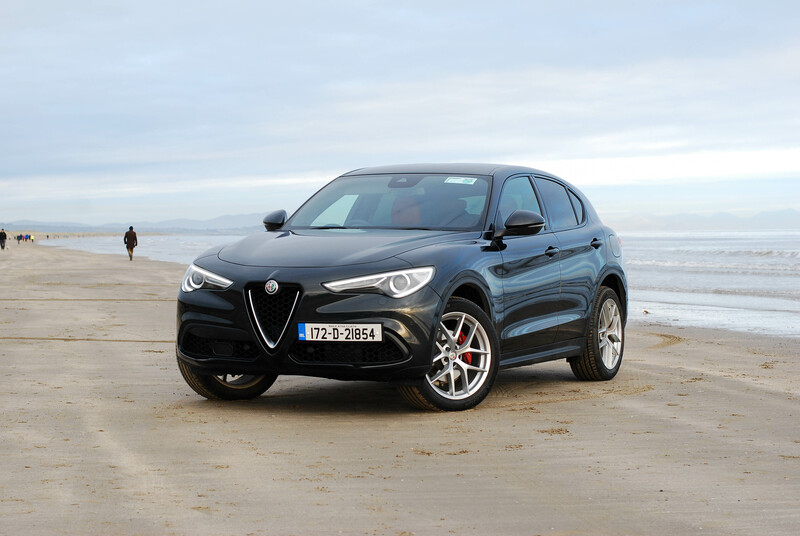 So imagine a manufacturer having the neck to name their first ever SUV after one of the most infamous driving roads in the world; well that’s exactly what Alfa Romeo have gone and done. It’s a bold move because the twisting alpine hairpins of the ‘Strada Statale 38’ are often better associated with Italy’s more exotic supercar fraternity and certainly not a big, cumbersome crossover. Whether the Stelvio possesses the poise which we’ve come to expect from the Alfa badge or whether it’s just another Chelsea tractor, remained to be seen. 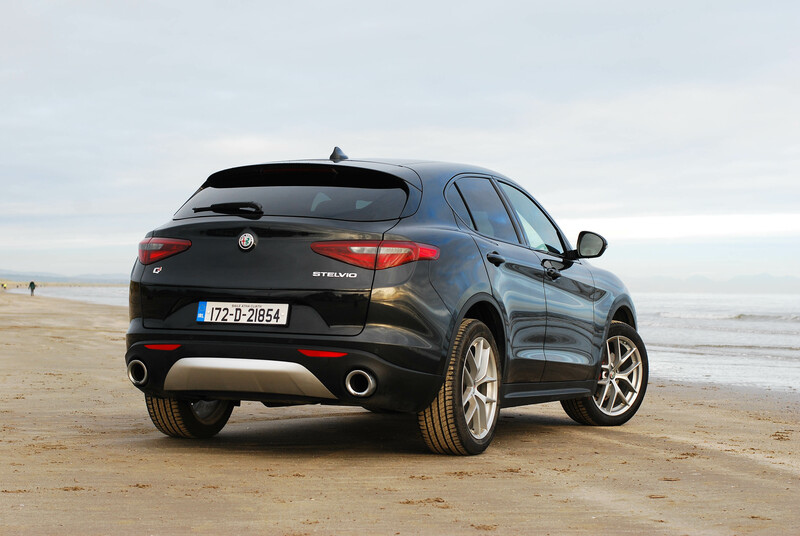 It was almost inevitable that Alfa Romeo was eventually going to go down the Crossover/SUV route at some stage. 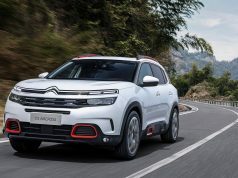 They first tested the waters with their Kamal SUV concept back at the 2003 Geneva Motor Show and now as SUV sales continue to rocket skyward, they’ve eventually made their move. The success of their new Stelvio has the potential to put the Italian manufacturer firmly back on the consumer’s radar and could prove itself to be a very lucrative model for Alfa. Now as far as SUV’s go, the Alfa Stelvio really stands out from the crowd. Immediately you’re aware that Alfa are attempting to purvey the Stelvio as a sporty alternative to its more rugged rivals. Its design isn’t exactly over complicated; it’s simple yet strikingly beautiful. The front end features the iconic V-shaped “Scudetto” grille and the same slim, piercing headlights which we saw on the stunning Giulia. In fact, at first glance, you’d be forgiven for assuming that it was the Stelvio’s saloon sibling approaching in your rear view mirror. As your gaze follows down the car’s side profile, the Stelvio’s high waistline is quite apparent but the rest of the panels are devoid of too many other sharp creases. 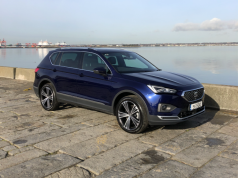 The roofline gently slopes off towards the rear and that helps soften the boxy, utilitarian form which we’re accustomed to seeing in many other SUV’s. That however has the knock on effect of only leaving space for a far smaller rear window and that in turn throws off the proportions of the tailgate. It’s a trivial enough flaw, in what is otherwise a very attractive package. If you’ve yet to have had the pleasure of sitting into the new Giulia saloon, then you’ve been missing out. It may not have been finished to the same standard you’d get in a Volvo or have the refinement of an Audi but it’s still a wonderfully driver centred cabin. Thankfully the cockpit of the Stelvio is pretty much identical. 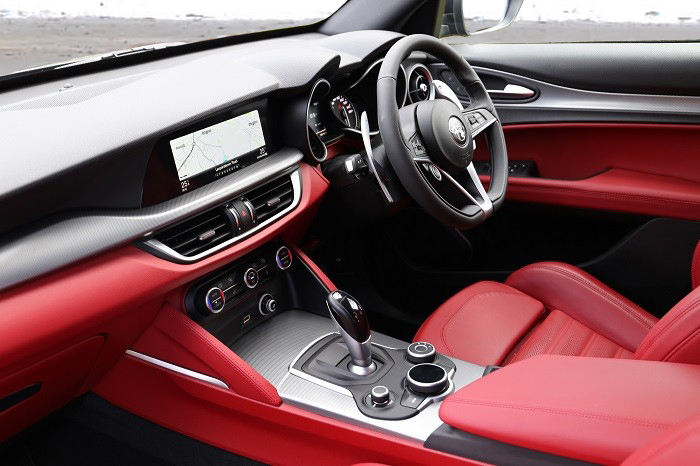 The red leather sports seats of the test car provided all the comfort and support you’d need, and a couple of easy adjustments soon had me settled into a near flawless driving position. The steering wheel is a work of art and I absolutely love the fact that the engine start button is mounted on the wheel. Mounted directly behind the steering wheel is a pair of bold, oversized metal paddle shifters. These can pose a bit of an obstruction for using the indicator and wipers stalks and perhaps make the dashboard area seem a little cluttered, but they do look awesome. The infotainment system is displayed behind a slick glass façade and thankfully the information still remains visible when you’re wearing polarised sunglasses, unlike the version in the first Giulia I drove. On the practical side of things, passenger space is good and the Stelvio can comfortably seat two adults in the rear, although three might be a bit of a squeeze. Head- and legroom seats are good, and the rear bench has two sets of ISOFIX fittings. The powered tailgate opens to reveal a 525-litre boot that has a usefully wide opening. The Stelvio is offered with a choice of two petrol (200bhp and 280bhp) and two diesel (180bhp and 210bhp) engines. All are mated to Alfa’s ZF 8-speed automatic transmission and there is also the option of their Q4 all-wheel drive system. My test car was equipped with the more powerful of the 2.0L petrol engines; essentially it’s the same engine found in the Veloce variant of the Giulia. It’ll hit 100kph from a starting start in just 5.7 seconds. That’s quite rapid but those kind of figures come with a compromise. Taxing it for a year will set you back €570 and whilst Alfa might reckon 40mpg is possible with some ultra conservative driving, I couldn’t achieve anything above 31mpg; but then again it’s a very difficult car to drive conservatively! Perhaps leaving it permanently set for “Dynamic” on the Alfa D.N.A. driving mode selector may have been part of the problem. For those of you unfamiliar with the D.N.A system, there are three different driving modes to choose from in order to change the car’s performance settings. The adjustments affect the engine’s torque curve, brakes (via the Pre-Fill Braking System), transmission logic, accelerator response, stability control system (ESC) and traction control (ASR). Many purists (including myself) may have cringed at the thoughts of their beloved Alfa Romeo selling out to the demands of the Chelsea tractor brigade in lieu of obvious financial rewards now associated with the popular SUV sector. However there aren’t too many brands which have made the leap to the dark side and yet retained so many of their core values. 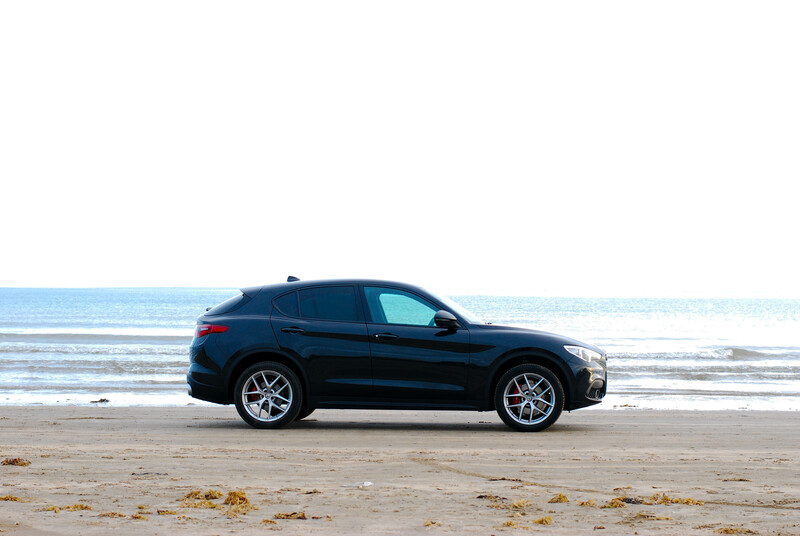 The Stelvio may not quite yet have the better of the Porsche Macan, BMW X3 or Audi Q5; but as first attempts go… they certainly deserve your attention!